Presented by Handi Quilter. Add texture and movement to your quilt with a wavy line design. For even more interest, add pebble designs as well. "Hi, I'm Jennifer, here with Angela Walters, Handi Quilter's ambassador for long-arm machine quilting. And today, we're going to talk about wavy line designs. 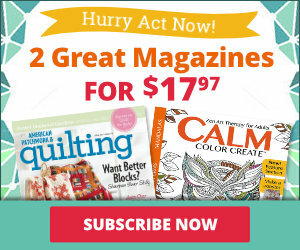 Now, Angela, wavy lines are a staple of many quilters, but sometimes you wonder, are they easier or more difficult to make than straight lines." "Oh, they're definitely easier to make than straight lines. I figure, if I start with a straight line and it ends up wavy, then I might as well just keep them all wavy. But they add a nice fluid look to the quilt and can really help move your eye across. 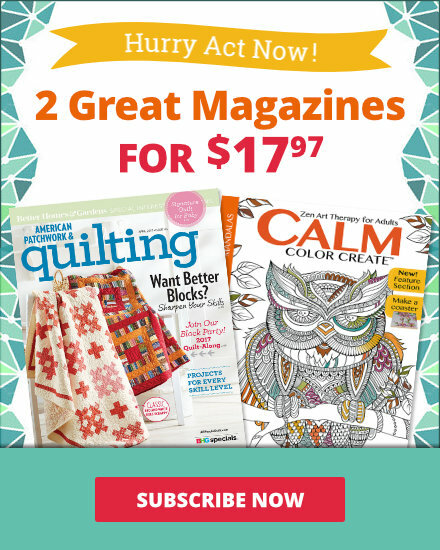 So, they're fun and easy and add a stunning look to your quilt." "Alright, how can we get started?" "Well, first, here's a sample of a wavy line. Here's a shocker for you--it's a wavy line. There's really not a whole lot of explanation to do. The biggest trick is on the edges of the block or the quilt, you want to travel along the sides so it comes off parallel, but I'll show you what I'm talking about on the machine. OK, I've stitched out a general block. Now, this design works great as an allover or even in backgrounds. So, what I'm going to do is just start from one edge and I'm just going to quilt a gently wavy line. I don't feel like I need to make it super wavy--just a nice gradual movement all the way to the opposite edge. Then, before I move on to the next one, I'm just going to travel along." "On a block, you would be going along the ditch?" "Yes, or if it was the quilt, it would be the opposite edge. And what that does, is it makes it look like it's parallel. It kind of runs it right off of the quilt. If you don't travel, you get this pointy thing going here, which is fine if that's the look you're going for. But I find that I like when it looks like it's running off and it moves your eye right across there." "Now, would you always quilt left to right or could you also do this design from top to bottom?" "You could do it top to bottom depending on which way you want to go with the quilt. Definitely. It's easy either way." "And it's a great way to add texture to your quilt. That's what I love about it. You can do that by adding your lines closer together or farther apart. 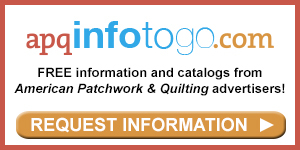 But you have another idea for ways to add more texture to your quilt using the wavy line design." "Yes, I always think it's easier to add or combine designs to come up with something different. So, one of my favorite ways to add texture just like you were talking about is to combine the wavy lines with the pebbles. And how I do that--some people always ask, 'Do you put in the pebbles at the end.' 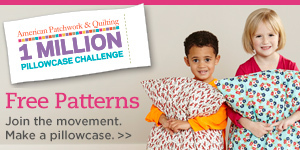 No, I just throw it in as I'm going, so I'll quilt a few wavy lines and then add some pebbles in random places. And then move on to the next one." "And I love that they're intermittent. You're not putting them in every line. You're just adding another element of texture to the finished quilt. And, I also noticed that you're not really too obsessed with keeping it exactly on the line or exactly circular--you just fill in the spaces as you have them. Some are a little bit more oval. It's a great idea." "Exactly, like you said it doesn't have to be perfect. There's no such thing as perfection in free-motion quilting, so I just like the texture and the organic look of it." "Well, practice makes perfect, so try out the wavy line design, and if you're up for it, add a few pebbles and you'll really have some contrast going. Thanks, Angela."